KidsEBookBestsellers.com: E. Van Lowe: Two Books, Top Ten! E. Van Lowe: Two Books, Top Ten! Thank you so much for wanting me to be a part of your awesome blog. I love writing YA and reaching out to new readers. I am still a bit overwhelmed and humbled that two of my books made the list this week. Don't know if I will ever be on the Best Seller List again, so I am trying to soak it all in......By the way, E is short for Eric. My name is not Evan Lowe. It's E. Van Lowe. I am lucky enough to have the first two books in my Falling Angels Saga on the list this week. They came in at numbers 8 & 9. 15 year-old Megan Barnett and her single mom, Suze, have a great relationship. They are more than mother and daughter--they are friends. This "friend" relationship takes a blow when Suze decides she wants to start dating, and the handsome and mysterious Armando becomes a part of their lives. There's something strange about Armando. But there's also something strange about the hot new boy in Megan's life--Guy Matson. One of them is the devil, with his eyes set on a new bride. Just because Megan Barnett recently defeated Satan, has a fantastic new best friend, and has won the love of a deliciously handsome angel, doesn't mean her troubles are over. Far from it. For Megan doesn't realize it, but in her possession is a powerful weapon, one sought by both angels and demons and everything in between. They will do ANYTHING to get it. How did you get published: traditional or independent? Recently or further in the past? My first YA novel, Never Slow Dance With A Zombie, was published by Tor/Teen (a division of Macmillan/St. Martin's Press). When it came time to do my next book they wanted me to go in a different direction. My friend, author Christopher Meeks and I were having a beer one day and he told me he was starting a publishing house. I asked him would he publish me. He read Boyfriend From Hell and the rest is, as they say, history. The house, by the way, is called White Whisker Books. The photo of the cat with the one white whisker on the spine of my books is Chris' cat. You've got to love a guy who names his publishing house after his cat's one white whisker. Is your book available in print format? Which came first and why? How did your e-book come about? 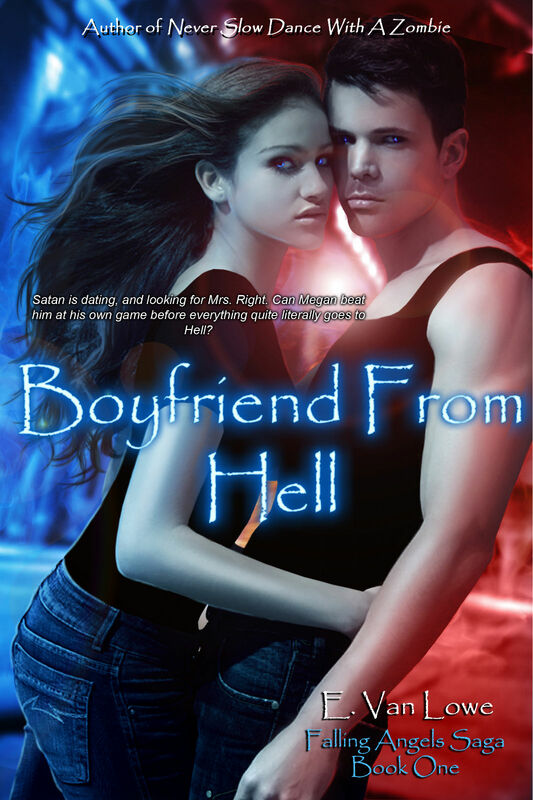 Boyfriend from Hell and Earth Angel are both available in print as well as ebooks. Both versions came out at the same time. Around the end of 2010 I started reading JA Konrath. I knew the ebook revolution was beginning and I wanted to be a part of it. Indie publishers depend on ebooks for their sales so going with White Whisker made total sense for me. Do you believe the e-format helps or hurts you as an author? How? I believe the e-format helps me as an author. While many of my friends cling to paper books, young people (my audience) do not. In this digital age they are the first to adapt to new delivery systems. In fact, from what I've heard, ebooks are encouraging more young people to read. To them, I suppose, they just seem more exciting. As an author this helps because my books can easily be passed around to new readers every day. E-readers are still quite expensive, so it's hard to get many of them in the hands of young people, but as the price comes down, more and more young people will have them. I know schools are already thinking about an all ebook future. I am proud to be at front of the ebook wave. 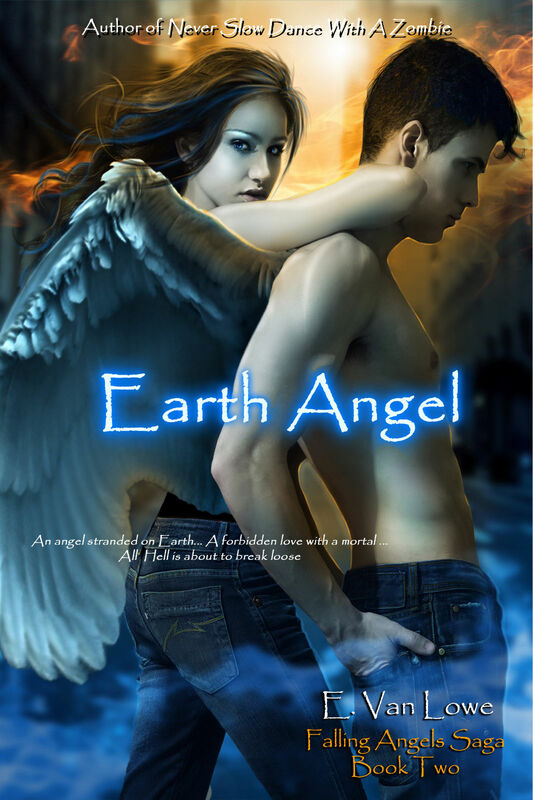 E also has a book trailer that covers both Boyfriend from Hell and Earth Angel. For more great books and interesting authors, check this week's Kids' E-Book Bestseller List. Ashes, Ashes: A Kindle Bestseller! Oppression: Making a Big Impression!